Edale Mountain Rescue's 2010 raffle was drawn at the Sheffield branch of Decathlon, the sports retailer on Sunday 3rd October. The raffle is a major fundraising activity for them and regularly contributes more than £1,000 to the team funds. 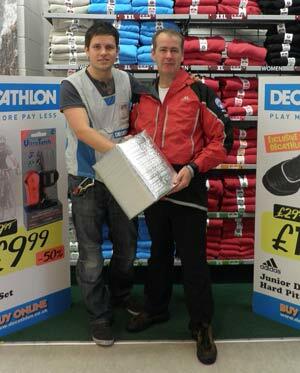 Decathlon generously donated the top prize of £300 in vouchers to be used in the store and the winning tickets were drawn by Store Manager Richard Nuttall (pictured left). Like other MRTs in England and Wales, the team receives no financial support from National or Local Government. One of the busiest teams in the country, Edale MRT operates in the busiest part of the Peak District National Park, itself the most visited National Park in the UK, and the team is on call 24 hours a day, 7 days a week. So far in 2010 the team has been called out on 116 occasions. Team spokesman Martin Gorman said "The generous donations of the public are our sole financial support, so fundraising activities like this are increasingly important with the dramatic increase in our workload this year. 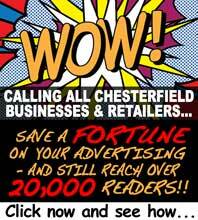 We really appreciate the support of Decathlon and all the other local companies who have helped to make the 2010 raffle a success." After news came of the sad death of pensioner Roy Barnes today, the Edale Mountain Rescue Team also issued a statement. More..